Animated falling fine bar of gold. Animated falling and bouncing realistic bar of gold in dark space. Special HDR lighting to enhance realism in reflection and caustics. 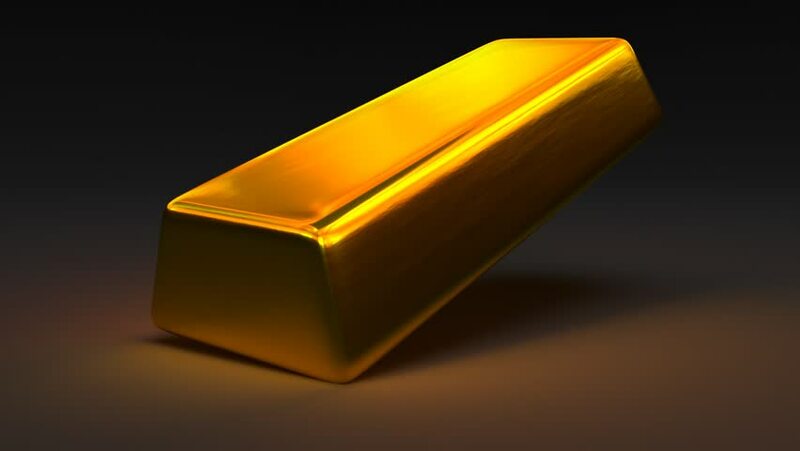 hd00:15Animated fine bar of gold around 360. Animated realistic bar of gold in dark space. 360 degree camera tracking (no rotation). Special HDR lighting to enhance realism in reflection and caustics. hd00:20Gold Bars Fall on Ground. 3 Gold bars fall in a stack. rotate around. with luma matte for isolation. hd00:05Animated falling and bouncing realistic bar of gold in dark space 4. Extra bars of gold placed around scene. Special HDR lighting to enhance realism in reflection and caustics.